Antique Fern Trowel. Victorian late 1800's. 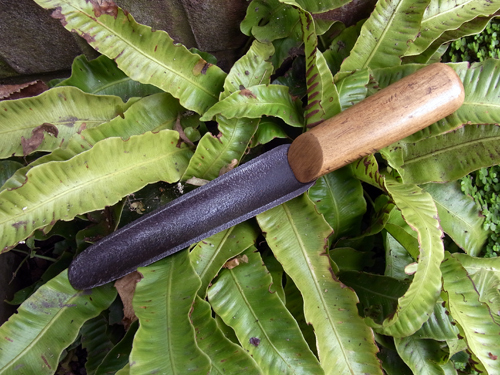 English with light hardwood handle, 3 brass screws and very pitted blade. Stamped 'Brades. Made in England'. Super Collectors item. © Copyright 2019 Old Garden Tools for Sale. All rights reserved.